A delightful set from the house of Louis Royer. 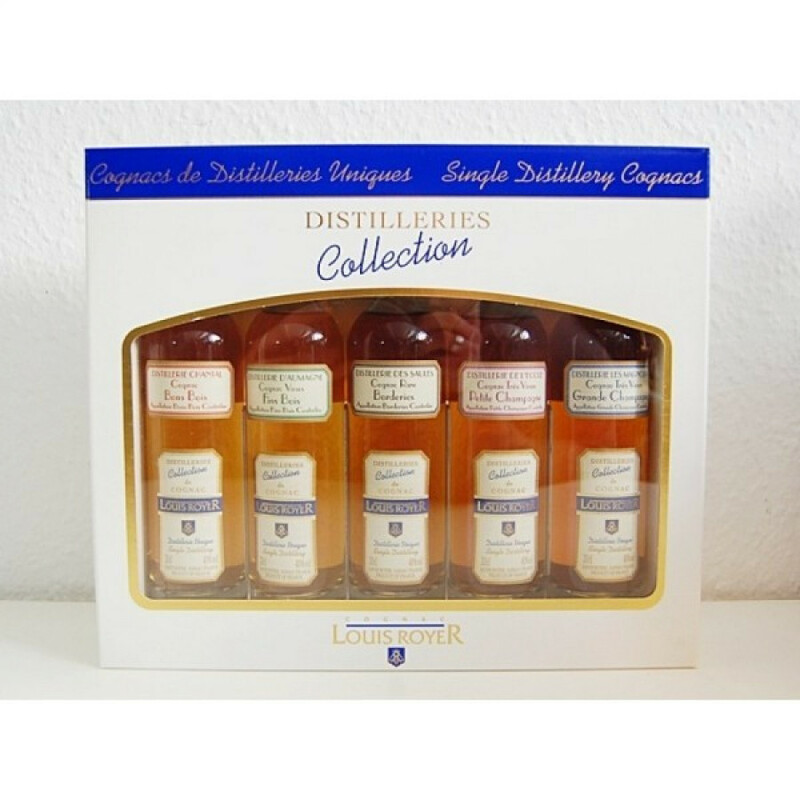 It consists of five x 200ml bottles and provides the unique opportunity of being able to taste Cognacs from the five favorite by the Royer distillers. In addition, each one comes from a different terroir of the region, giving the chance to compare and contrast the very real differences the different soils have on the grapes that grow there. A Cognac that's sadly no longer produced, this premier cru offering is subtle, well balanced, and superbly rounded. The awards bestowed upon it have been numerous, but include a gold medals at the 2008 and 2010 UK International Wine & Spirit Competition, and gold medals at the 2009 and 2010 UK International Spirits Challenge. This Petite Champagne Cognac has a list of awards to its name - and with good reason. It's balanced, rounded, and really does offer an excellent example of a great Cognac from these limestone soils. Winner of the trophy at the 2006 UK International Spirits Challenge, and gold medals at both the 2010 and 2013 UK International Wine & Spirit Competition. The Borderies terroir is fast becoming the connoiseur's choice, thanks to the its lucious, floral, and very distinguished aromas and flavors. Distillerie des Saule is located within the Borderies growth area, but right at the border of Grande Champagne. The resulting eau-de-vie grown here is of an extremely high quality. Another award winning Cognac, this VSOP is a great example of the excellence of Fins Bois eaux-de-vie. Distillerie d'Aumagne is in the northern area of this terroir, and because the soils here contain clay it adds subtle nuances to the taste. 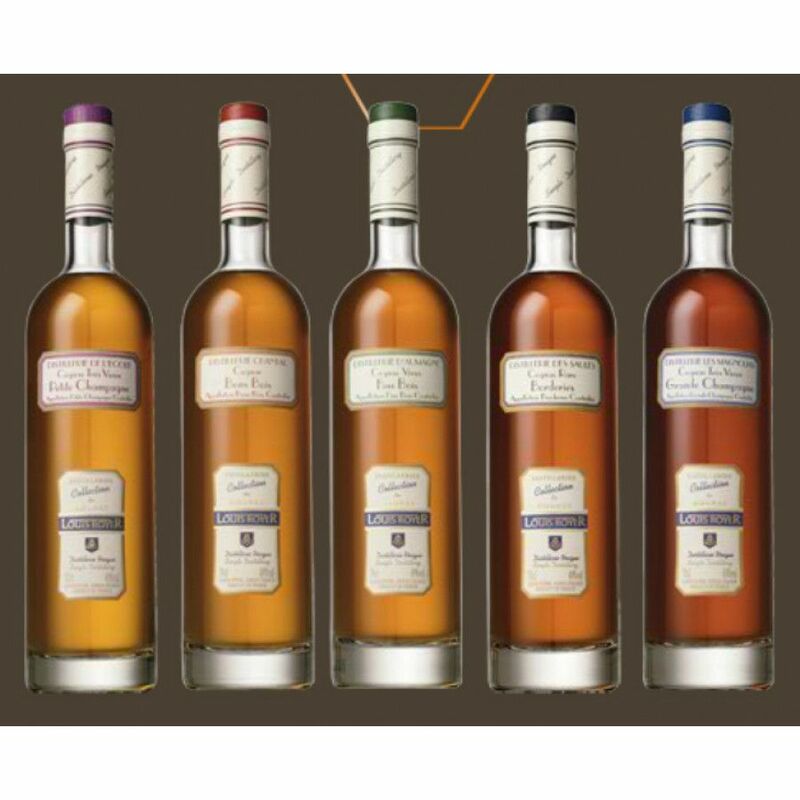 The Cognac won a gold medal in the 2010 UK International Spirits Challenge, and a gold medal in the 2013 International Wine & Spirits Competition. This VSOP quality Cognac is from the often forgotten about terroir of Bons Bois. The gentle climate in this region create eaux-de-vie that's both simple yet rounded. Enjoy notes of spices, vanilla and toffe. The quality of this Cognac has been recognized by winning the Gold Medal in the 2008 International Spirit Challenge in the UK. Dont buy this as a gift if being shipped! Dear Ted, many thanks for your observation. The product is delivered 'as it is' by the producer, locally in the Cognac region. We flagged this product and will make sure to to pack this differently, and very safe, in the future. We will of course grant you a discount and solve the situation if there should have been any inconvenience.